What’s one difference between children from local schools and children from the international schools? A true love for sports, it seems. Singaporean students (or their parents) are more likely to request medical certificates to be excused from sports, whereas international school students are more likely to seek medical advice for a faster healing of injuries, so that they can resume sports participation. This observation was made by sports physician Benedict Tan back in 2015, during his stint as a nominated member of parliament. Are Local Students Getting Enough Exercise? 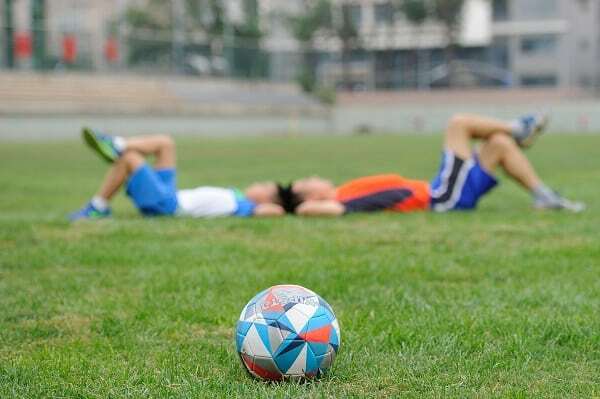 “If this behaviour becomes entrenched, it may have dire consequences on the future physical and metabolic health of adult Singaporeans,” says physical education expert Michael Chia, who authored the 2014 study mentioned above. Already, obesity rates among local children have risen slightly in recent years. There is also concern that local youths (even those without weight issues) who remain sedentary into adulthood will have a higher risk of heart disease, stroke, and diabetes. Plans are underway to incorporate a daily hour of physical activity into the local preschool curriculum. But for those in primary and secondary school, parents may have to intervene. There is good reason to do so, as the benefits of sports extend beyond physical health, says youth football coach Jahsh Ruzzman. For primary schooler D. Geerish Dass Naidu, who plays volleyball, it’s the ability to think on one’s feet, as well as learning to work as a team. Secondary school rugby player Givens Teo says the sport gives him the opportunity to play alongside those from different backgrounds. Junior college student Zac Liew enjoys the adrenaline rush of gymnastics. Lim Bing, also in junior college, says she experiences “genuine joy” with table tennis in her life. Above all, sports also provides lessons in resilience—an essential trait that kids need to thrive in life. 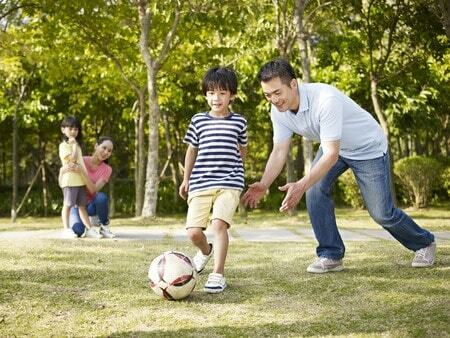 How can parents encourage their children to play sports more regularly? As a first step, you could explore the co-curricular activities in your child’s school. Parents may also wonder: how should one narrow down a school’s CCA options to a single choice? If your child expresses interest, you could also sign him or her up for trial sports classes at nearby enrichment schools and community centres. However, don’t fret if your family is grappling with time or budget constraints. Even when you’re playing a casual game such as Frisbee, there are opportunities for learning. If your children are reluctant to participate in outdoor activities, you may have to take the lead, in order to show them the joys of being active.